I read so much last year, and took part in 2 reading challenges, but failed as I didn’t review the books. I want to take part in some this year. 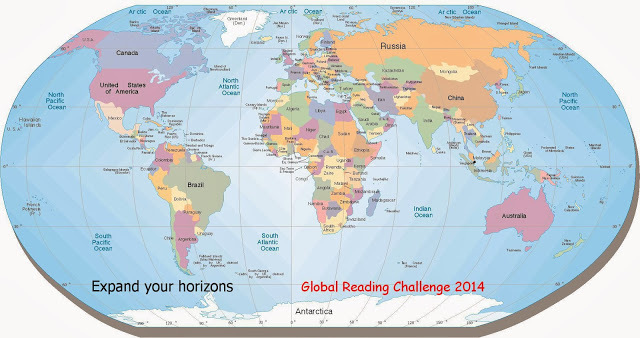 Every year I do a mystery/suspense/thriller one, and in looking for one, I found this – Global Reading Challenge. I’ve chosen The Easy Challenge (because I want to do other challenges too, and really, I was to spend 2014 focusing on my writing, not reading! ), which is just one from each. I’ll complete reviews for each novel I read, and link them here, and on the Global Reading Challenge page, which can be found here.